How Contagious Can Social Media Really Be? THE SOCIAL MEDIA advertising industry has been built on the idea of Contagiousness. Social Media’s promised paradise was that of effortlessly making fans promote branded content until it went viral through word of mouth –ideally, at a global scale and for a very reasonable price. More than a decade later, has this promise been fulfilled? Is Contagiousness still the marketing god to worship? After the demise of interruptive marketing, marketers collectively embraced Google’s advertising model where commercial messages target people already interested in a subject via search query, solving their needs trough content with the less friction possible. Marketing’s main functions became managing a brand’s PPC budget, SEO and SEM while constantly optimizing its digital properties. SEO agencies and Digital Media agencies boomed. The Consumer Insight and the Emotional Single Minded Proposition were discarded; Content, Utility and UX become marketing´s new gods to be worshiped. The second-wave, the ¨after Google Era¨ -we could say, appeared with the Social Media revolution. We marketers studied the meteoric penetration of Social Media. Even the most skeptical admitted its influence, as they watched how it could ignite political revolutions across countries and instant over night celebrities. Books like The Tipping Point, The Anatomy of a Trend and Made to Stick became mainstream in the marketing world. We admired the first truly global viral campaigns like Dove’s Evolution and Burger King’s Subservient Chicken. We revisited traditional ideas from PR (networking, influence, listening, empathy, recommendation). We also learned that the promised Social Media paradise was very inclusive as even small businesses could join: you could launch a campaign for as little as 25 dollars. We got hooked on Social Media’s totally addictive analytics and comforting short-term metrics. Social Media became CMO’s safest bet; they could show immediate results without the big investments required by traditional media. It was the perfect marketing tool to survive their ever-shrinking tenures. Digital ad agencies rejoiced in the belief that, thanks to Social Media, they would be back in the industry’s driving seat. Their belief being that crafting contagious campaigns was not supposed to be mainly about media investment but about creative talent. With Social Media, Short-term Data and Contagiousness became the new marketing Gods. By inoculating the right people with the right content, marketers could spread ultra-targeted campaigns. A robust and influential fan base would be in charge of doing the heavy lifting of the message distribution -practically for free. Contagious became the most influential magazine of that era. In 2013, the book Contagious, Why things catch on became a New York Times bestseller. Three years later, Publicis’s digital creative agency DigitasLBi created the Contagious Index, together with Jonah Berger. This new Contagious Index improves the bland “engagement” metrics by being more demanding than the easy “likes” and “favorites”. When people share content, they are reflecting their identity and values. The Contagious Index will help to improve the perception and efficacy of the entire social media industry, adding more value and respect to the notion of “engagement” and showing that having many followers and having true engagement don´t always go hand in hand. 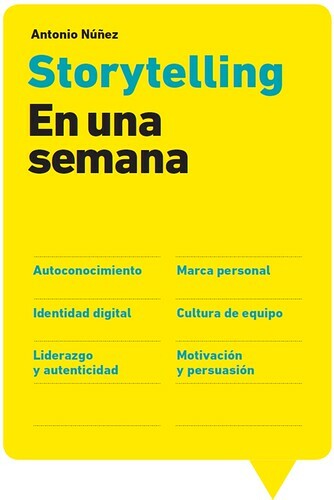 The question now is how to use it and if messaging´s contagiousness should be the top goal of the advertising agenda. Should marketers keep worshiping Contagiousness? –Viral campaigns are usually paid campaigns, sometimes very expensively paid campaigns. You need PR and Digital Advertising to propel viral campaigns and to keep them alive. –People don´t accept advertising in Social Media. Advertising was not part of the initial deal they signed up for when they joined so they abhor it. -Social Media users are in an active, well…, social mood. They are not there to be entertained by brands, their ¨friends¨ are their entertainment. Any interruption while they navigate is rejected by any means possible, including ad blocking. –People like their ¨friends¨ and what they have to say, not brands and what they want to say. -People have started to distrust influencers’ and celebrity endorsements. -It’s too expensive for brands to sustain a conversation with millions of people 24/7. -People expect immediate answers when they raise a question or complain through social media and this is not always possible (see above). -Recent studies show that brand growth happens not because of the frequent usage of loyal clients (the typical social media brand fan), but theoccasional usage of new customers or disloyal customers, as professor Byron Shapiro has proven, category by category, in his books How Brands Growth. We are all guilty of having created over-expectations about Social media. Maybe in the future it will live closer to Customer Care, PR programs and Promotions than many Social Media agencies prefer to believe today. However, making messaging contagiousness the priority of advertising doesn’t seem like a smart decision, when the actual acceptance of advertising through social media isn’t clear and the correlation of social media with more sales or long-term brand building hasn’t been proven yet. What god to worship in the next Marketing Era then? There is no denying that social media is here to stay. However, while we navigate towards the post Social Media era, maybe we can take a look back and learn a few things from what the ancient ¨interruptive¨ TV has been doing to survive. Netflix, HBO, Amazon Prime and Apple TV have all walked the same harsh journey of brand marketing: consumer empowerment, UX improvement, technology upgrade and usage of big data. -As Ian Leslie wrote in FT and Michael Wolff studied in his book, paradoxically, ¨the passive nature of TV turned out to be it’s hidden weapon¨. Consumer’s still tolerate advertising when watching TV. -TV never gave it’s content for free. If viewers want ad-free content, they know that they will have to pay an extra for it. –Original, premium-quality content has over-come any difficulty and is the foundational pillar of the business model. –Data is always to service Storytelling, never the opposite. Netflix doesn’t produce pilot episodes or rely on focus groups to validate their shows’s storytelling. They know their customer’s needs and interest and cater to it. While we try and learn about what the new marketing trend (the tandem of native advertising and programmatic advertising) can do to increase sales, brand loyalty and brand building, maybe, the next gods for brands to worship could be Storytelling and Data, in that order. One thing is clear: Not only will marketers need to regain patience and long term vision, but also the marketing religion of the future will not be monotheistic any more, but polytheistic.